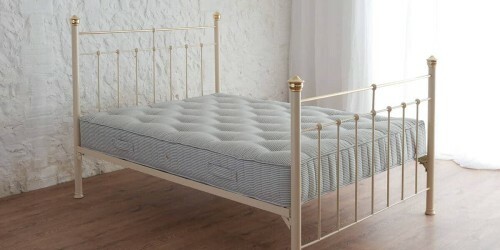 Ultimate Comfort Alpaca Mattress | Wrought Iron & Brass Bed Co.
Lavishly filled with natural fibres, such as Alpaca and Cotton. 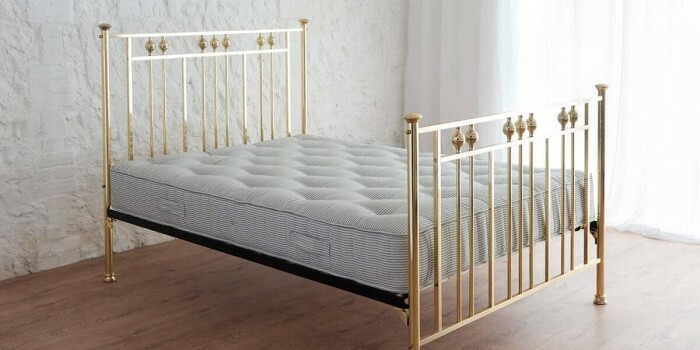 This pocket sprung mattress offers ultimate comfort and a supportive feel. With each spring nestled within a calico pocket, for extra flexibility and movability. 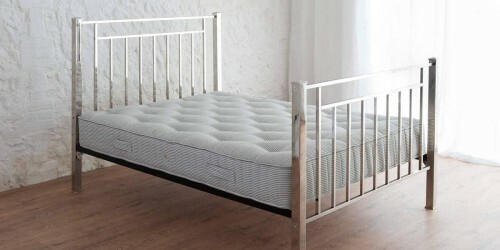 These springs will contour to your body, offering a highly responsive natural fibre mattress. Hand crafted in Yorkshire. 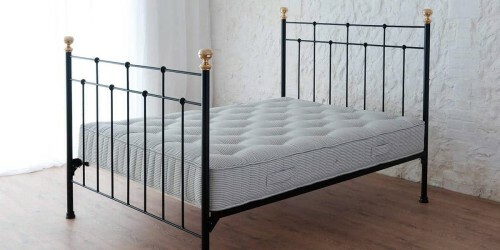 This mattress has been traditionally hand tufted and benefits from 3 rows of genuine hand side-stitching, for additional edge to edge ultimate comfort and support. Finished in a soft Belgium damask or cotton fabric. Not only shall your mattress be comforting to sleep on, but also soft to touch. Experience ultimate comfort with our sprung bed base. 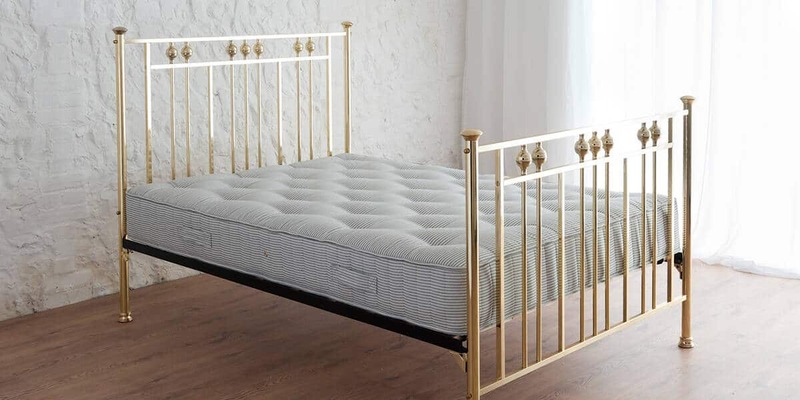 Allowing you to sink into your mattress and offering full body support, our sprung bed base offers the perfect night sleep.